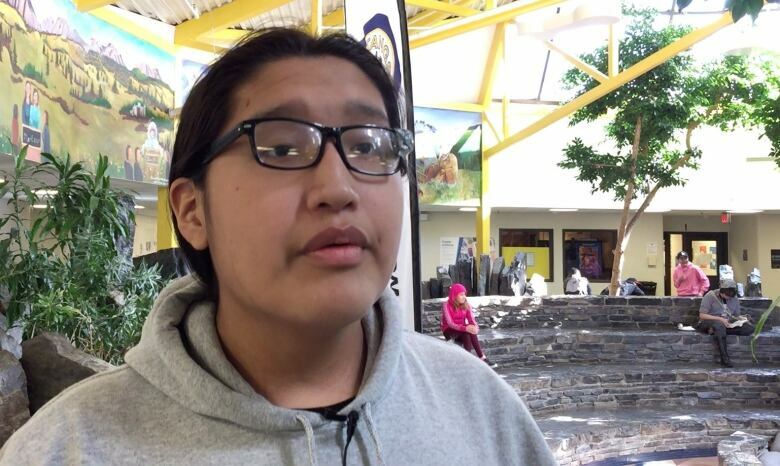 A cross-cultural student exchange program is giving some southern Alberta Indigenous youth a taste of other cultures. The YMCA Youth Exchanges Canada Program is connecting a group of Stoney Nakoda students with youth from Nunavut for a one-of-a-kind visit. A group of students visiting from Nunavut sit alongside Stoney Nakoda youth for traditional powwow dance demonstrations at Morley Community School, about 60 kilometres west of Calgary. 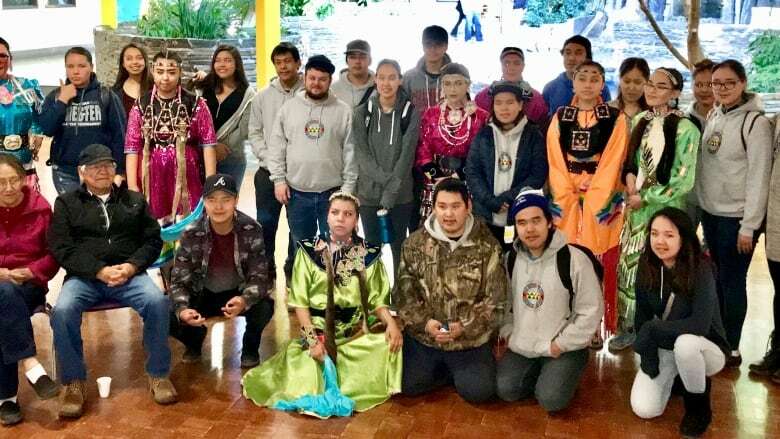 Youth from Arviat, a hamlet on the shore of Hudson Bay, partnered with Morley Community School for a week-long reciprocal cross-cultural exchange. "It's a great opportunity for youth to get outside of their communities to explore other communities within Canada," said Karen Romero, regional coordinator for northern Alberta. Both groups learn about each others' traditions and cultures while getting the opportunity to travel somewhere new. "Anywhere from 10- to 12-month process, so before the actual exchange happens they are planning what they are going to do. They are doing fundraisers. They're thinking about what activities they're going to do for their visiting groups and they also do some volunteering experience, as well," Romero said. Morley school Grade 9 teacher Rachel Ardiel is assisting as an exchange program leader. 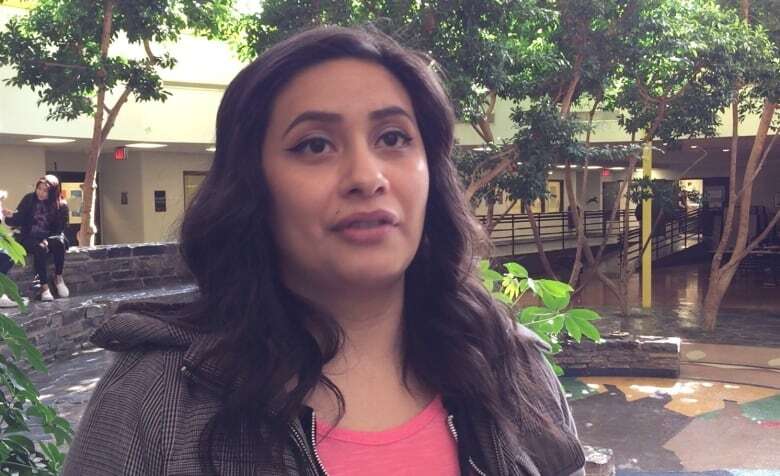 "It's great for students to connect with people who are unlike themselves and able to share their culture and history with other people," Ardiel said. Some of the youth who live in Morley don't get the opportunity to travel, she said. "They learn about different geographical regions in their area; they learn about different cultural events and activities." The youth also get the opportunity to show off their own unique culture while travelling. Grade 9 student Albert Kaquitts was selected for the program. He urged other interested youth to take a chance with the program. "We show them ours for now, then when we go to Nunavut, they're going to show us theirs," he said. "Be nice to your new friends that might be a long ways from home." Annie Kritaqliluk, a student from Arviat, made the trip. "We came here to Alberta to learn about new things and meet new people," she said. "I love it here." Being a role model in their respective communities was part of the application process. "It's my first time to Alberta — it was a 10-hour plane ride," Kritaqliluk said, with a laugh. Students from Morley will visit Nunavut in early May for the second part of the exchange. 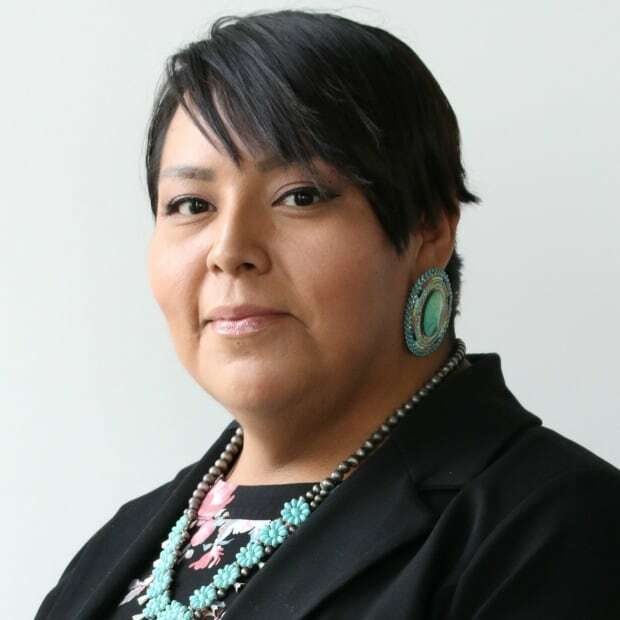 Livia Manywounds is a reporter with the CBC in Calgary, a rodeo competitor and a proud member of the Tsuut’ina First Nation.